Luke Bryan in Montreal or Quebec City? Inform me about the next events for Luke Bryan. Enroll yourself to our priority waiting list for Luke Bryan to be alerted when new tickets are available. Filling this form doesn't engage you to any purchase. Luke Bryan is releasing a new album entitled What Makes You Country soon, and a world tour will be ensuing. Will Luke Bryan be coming back to Montreal and/or Quebec City in 2018 ? The popular country singer performed for the first time in Montreal in February of 2016, and gave a tremendous show ! 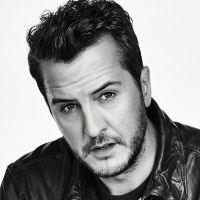 With over seven million albums and 27 million singles sold worldwide, Luke Bryan is one of the up and coming superstars of the American country music scene. Stay tuned to find out if Luke Bryan will be coming back soon !